Daily Illuminator: Visiting Fort Wayne! February 24, 2018: Visiting Fort Wayne! I went on a short but wonderful trip to Indiana last week. My first stop was at the Alliance warehouse to meet with their sales team. 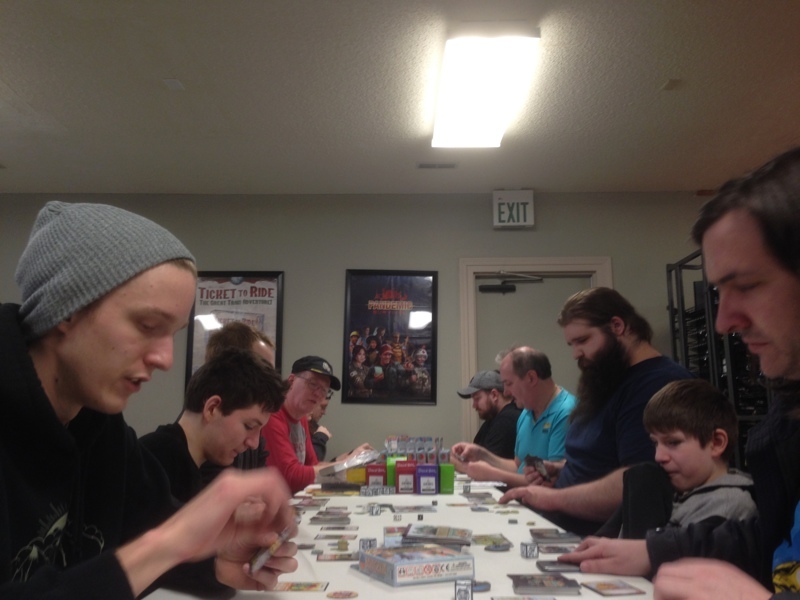 This jovial team picked up the Munchkin Collectible Card Game quickly over pizza, and we wrapped things up with talk about the Organized Play Kit and details on when some Munchkin reprints were coming in. Thank you, Danny O., Mike, and the sales team, for allowing me to stop by and play! Thank you for the fantastic visit, Dawn! I hope you're having a blast at Disney right now. 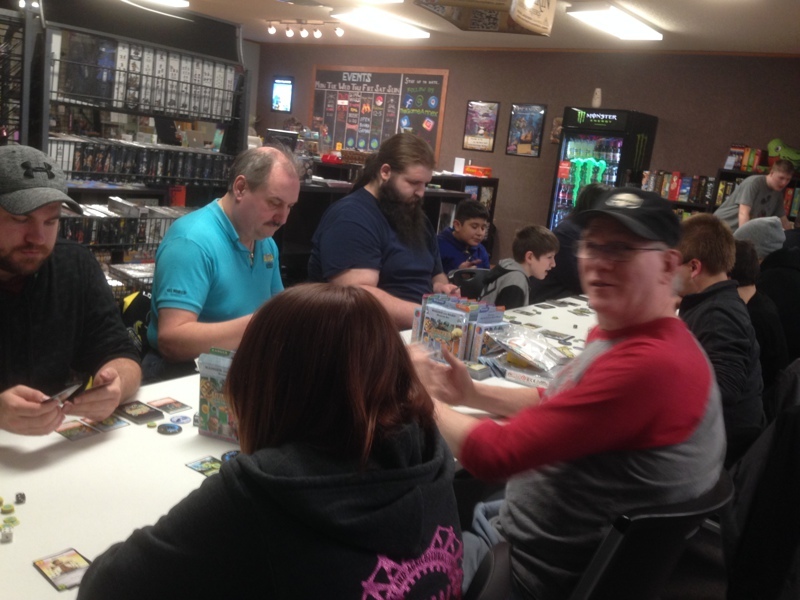 I can't say enough how much I appreciate all the support we're getting from stores, distributors, volunteers, events, and (of course) the players. We couldn't do this without you, and it's wonderful to get to bring this game into such a strong community. p.s. - I know it's been a while since I checked in! You can find me more regularly on #SJGamesLIVE and in the new Munchkin Collectible Card Game videos like this pack opening. And if you need even more Munchkin Collectible Card Game goodness, visit the new site for articles, videos, and more!